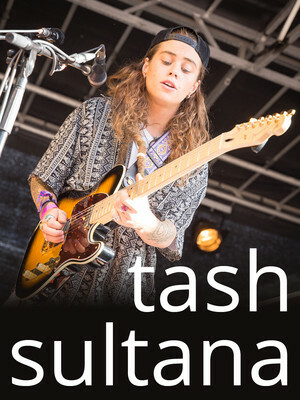 No stranger to constantly sold out headline shows and tours, it may come as a surprise to some that little over two years ago Australian songstress Tash Sultana was busking on the streets of her home city of Melbourne, creating her own buzz with a DIY spirit and determination. The dynamic young performer then went viral when a homemade performance video that garnered one million views in five days, marking her as a rising star of the indie scene. Don't miss Sultana as she tours North, South and Central America once more! Billed as a one-woman band, the multi-talented musician uses self-generated loops and the virtuosic playing various instruments (over 20 to be exact) to create full tracks. Blending her husky, smoky vocals with mega pop choruses and her trademark clean fender guitar, she has created a sound that is uniquely her own. Pure musical magic is conjured as she beatboxes on the mic, creates driving rythms on drum machines and even occasionally blows a trumpet. Sound good to you? 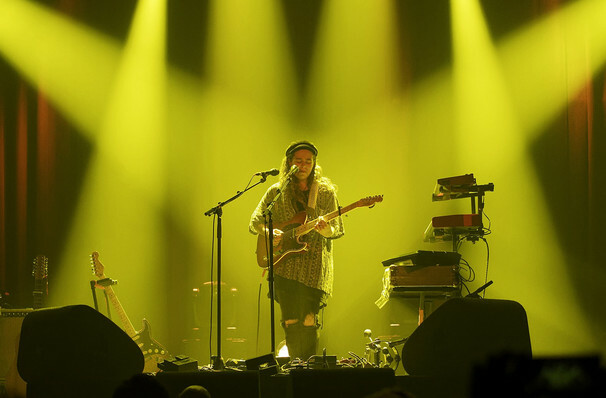 Share this page on social media and let your friends know about Tash Sultana at The Fillmore. Please note: The term The Fillmore and/or Tash Sultana as well as all associated graphics, logos, and/or other trademarks, tradenames or copyrights are the property of the The Fillmore and/or Tash Sultana and are used herein for factual descriptive purposes only. We are in no way associated with or authorized by the The Fillmore and/or Tash Sultana and neither that entity nor any of its affiliates have licensed or endorsed us to sell tickets, goods and or services in conjunction with their events.